Tales from the Real OC (Really! ): ECHO Cover & Brazil Tour Details! 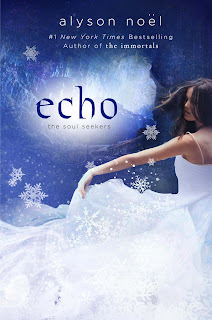 In case you missed it, the cover for ECHO (The Soul Seekers Book #2) has been released! Special thanks to the St. Martin’s Press art department for creating such a beautiful cover—they are genius! ECHO will be in stores 11.13.12 and I can't wait to share it with you, so save the date and look for more details coming soon! 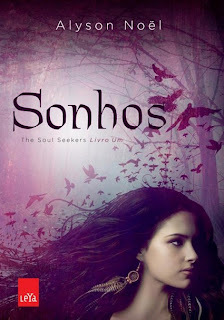 And, for my Brazilian reader, I’m excited to unveil the cover of SONHOS (FATED)! Can't wait to share more details as soon as I get them! Estou muito feliz que você vem ao Brasil Alyson. Estarei te esperando! Eu queria muito publicar o meu livro em seu país. Será que você poderia dar uma forcinha? Glauber. Hi Krista - Feel free to contact my publicist at St. Martin's, Jessica Preeg, at jessica.preeg@stmartins.com to request ARCs. Thanks for your support!